Northern Vietnam stretches from the country’s capital, Hanoi, in the North down to Hoi An in the South. While you shouldn’t miss out on the region’s exciting cities, be sure to check out its lush greenery, and tranquil beaches, too. This region offers plenty of opportunities for tourists to learn about the country’s fascinating past. Hoa La Prison, in Hanoi, for example, teaches visitors all about the American and Vietnamese soldiers who were incarcerated there during the Vietnam War. The Imperial Tombs, meanwhile, are located in Hue, in the South of the region. These seven ornate tombs were constructed throughout the 19th and 20th centuries and have been very well-preserved. The three most-visited tombs are Minh Mang, which is surrounded by tranquil lakes, Tu Duc, which is known for its ornate stone bridges, and Khai Dinh, which took eleven years to build. Some of the Imperial Tombs are located in Hue’s Imperial City, which is built on the model of Beijing’s Forbidden City, and home to a series of impressive historical buildings. 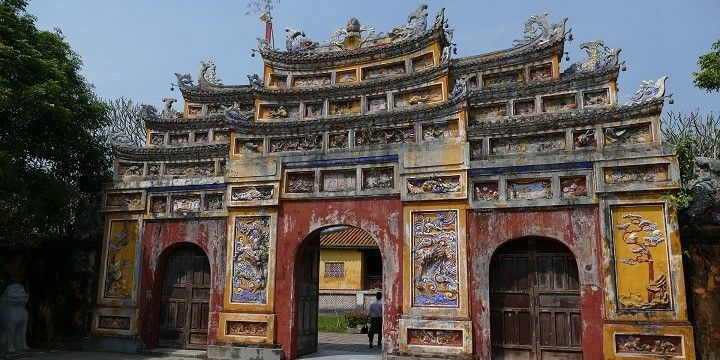 Hue's Imperial City is modeled after Beijing's Forbidden City. Hoan Kiem Lake in Hanoi is a tranquil escape from the country’s hustling and bustling capital, where you can even practice t’ai chi with the locals. Head southwards to find the Thu Bon River in Hoi An, which is best explored by boat. It is especially beautiful at night, when the river reflects the city lights. 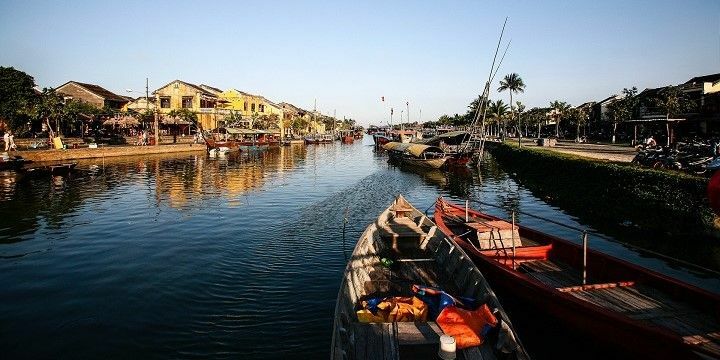 On your journey, stop off at one of Hoi An’s many islands, such as Cam Kim, which has been inhabited since the 17th century. The river runs through Hoi An's Old Quarter. Ha Long Bay, just east of Hanoi, is home to many unique caves and grottos, including the Tien Ong Cave, which is about 20 kilometers from the shore. Whilst other caves in the area, including Thien Cung and Sung Sot, are also beautiful, Tieng Ong is particularly noteworthy among archaeologists, as its stones date back to 10,000 BC. It’s also one of the region’s largest caves, covering an area of nearly one square kilometer. Ha Long Bay features unique caves and grottos. For a different kind of natural beauty, head to Tra Que, a vegetable village about three kilometers from the center of Hoi An. Here, you can meet around 150 local farmers, and take part in cookery classes, using the farms’ fresh produce. 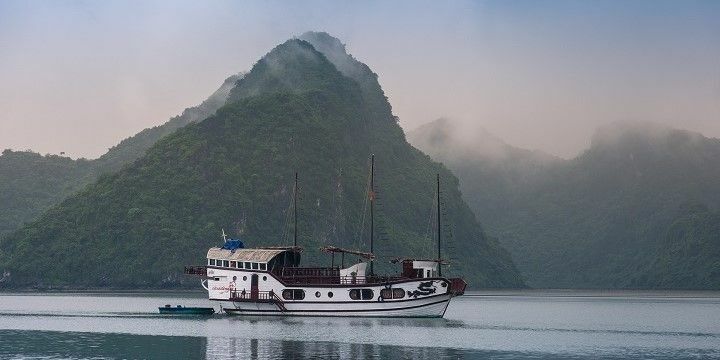 In addition to its caves, the UNESCO world heritage site of Ha Long Bay offers incredible beaches, the most popular of which are located around the Bai Chay Wharf, from where most ferries depart to Ha Long’s islands. The beaches in this area tend to be busy, so if you’re after a more secluded escape, head to Ban Chan or Ba Trai Dao instead. Another great escape is Thuan An Beach, which is one of the region’s most underdeveloped beaches, with just a few deckchairs and food stalls. Alternatively, head to the Cham Islands. This collection of eight islands is home to beautiful beach spots, including Bai Xep and Chong Beach. Although Hanoi has fairly strict laws on nightlife, meaning most bars and clubs close by midnight, you’ll find plenty to do after dark in the capital city’s Old Quarter. Enjoy a bia hoi (a traditional Vietnamese beer) in one of the many bars, or grab some pho (noodle soup), or banh mi (baguettes) from a street vendor. 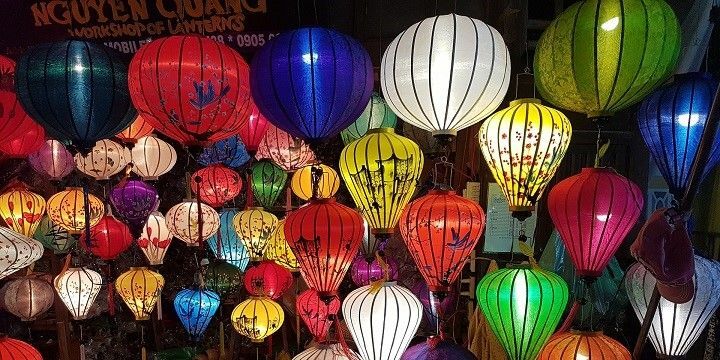 Visiting a night market in Hoi An is a great experience. Hoi An, meanwhile, has some of the most liberal nightlife laws in Vietnam. In the city’s Ancient Town, you’ll find pubs, bistros, and live music venues, which remain lively until around 3:00. If you fancy a more relaxed evening, check out Dang Ba Market in Hue, which is open until around 20:30. Here, you can buy everything from food and drink, to crafts and clothes, but don’t forget to haggle for the best prices! South and Middle of Vietnam. I have spend my best days in hoi an and hue! Very recommendable! There you have beautiful cities, nature trekkings, and good beaches! Vietnam is a great place with people and culture.